April 30, 2010  A new study of 14 people finds that the body's response to laughter is similar in some ways to its response to repetitive exercise. For example, watching humorous videos lowered blood pressures, the researchers report. Preventive care expert Lee Berk explains the findings. April 30, 2010  Some U.S. doctors who've volunteered in post-earthquake Haiti have said they felt unprepared for the types of injuries and primitive medical settings they encountered there. Children's Hospital in Boston is running a startlingly realistic simulation program to help prepare American health care workers for the scene they'll find. April 30, 2010  Stanford scientist Steve Quake was only the fifth person in the world to have his entire genome spelled out. Now he claims to be the first to use it to find out just what diseases he's at risk for and what he should do about it. What Quake and his doctor learned provides a glimpse into the future of genomic medicine — and its challenges. April 30, 2010  The House Republican leader tells NPR that if his party wins a majority in November's midterm elections, they will replace the law with "common-sense steps" to lower health insurance costs. He says he is optimistic about his party's prospects, saying "at least 100 seats" are in play. April 29, 2010  Parents know the promise of a new toy draws children to fast food kids meal that may not be good for them. Now, these meal toys have been banned in Santa Clara County, California. Host Michel Martin speaks with Ken Yeager, the president of Santa Clara County's board of supervisors, who voted for the measure as a way to combat childhood obesity, and Dr. Sara Cody, from the county's public health department. April 29, 2010  There once was a man who liked to spend his time inhaling a lot of different gases. 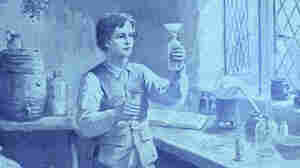 He was looking for a cure to tuberculosis. Some of the gases burned like heck, but one made him feel sublime. But doctors said, "No, thank you; pain is a good thing." April 28, 2010  In discount health plans consumers pay a fee for access to a network that offers reduced charges for health care. But state officials and consumer groups say some of the plans are not legitimate. April 28, 2010  A panel convened by the National Institutes of Health says there's no sure way to prevent Alzheimer's disease or other forms of mental decline related to aging. The panel say it's possible that people can reduce their risk by exercising, staying mentally active, and watching their diets. But the evidence for that is pretty limited. Michele Norris talks to NPR's Jonathan Hamilton about the panel's findings. 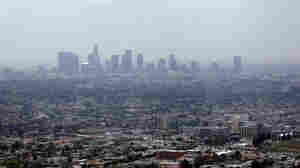 April 28, 2010  Despite progress in reducing pollution, more than 175 million people live in areas where it is unhealthy to breathe, according to a new report from the American Lung Association. Even when levels are relatively low, people exposed to particle pollution have an increased risk of asthma, lung damage and premature death, the report says. April 28, 2010  SMA, which stands for Spinal Muscular Atrophy, occurs in one of every 6,000 births. Commentator Ben Mattlin has a SMA and is paraplegic. He is often asked what he would do if a cure became available. His answer: He wouldn't choose to be cured. April 28, 2010  Some 70 percent of agricultural workers in California are uninsured. The new health care law will benefit many of those workers through an expanded Medi-Cal program and government subsidies to buy private health insurance. But how will new mandates affect farmers and farm workers — especially those who are undocumented and are barred from buying health coverage through the exchange? April 27, 2010  Black lung disease is on the rise, yet compensation for those disabled by it is decreasing. 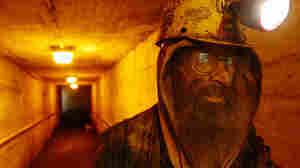 Miners must fight for medical care compensation, and their black lung diagnoses and disabilities are often challenged. They go through numerous appeals, and an average claim takes about seven years — or longer.